We are excited to announce our March Masterclass! 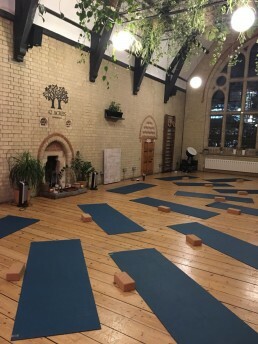 We are here to gently prepare you for Spring with a masterclass that includes fitness, meditation and tips and hints for how to set your intentions for the new season and the best and most achievable way to develop your own exercise programme. Dan Roberts will lead a class that is designed from the Methodology X online workout which uses his unique method of holistic athleticism. Exercises will help to tone but not bulk and improve core strength. The class will combine elements of yoga, pilates, ballet, martial arts with athletic training. Following the class you will guided you though a stretch and meditation with @janeabouttown. After refreshments, sit down with Dan where he will share tips and insights on how to set a realistic and achievable exercise programme which will include a Q&A. Post class refreshments are brought to you courtesy of @HaraLondon and @drinkLittleMiracles. You will leave with am custom made MX tote bag with a free Toning Body Guide written by Dan Roberts and treats from @yogi-barre & @spritzwellness. Time: Arrive from 19:15 for a 19:30 start.